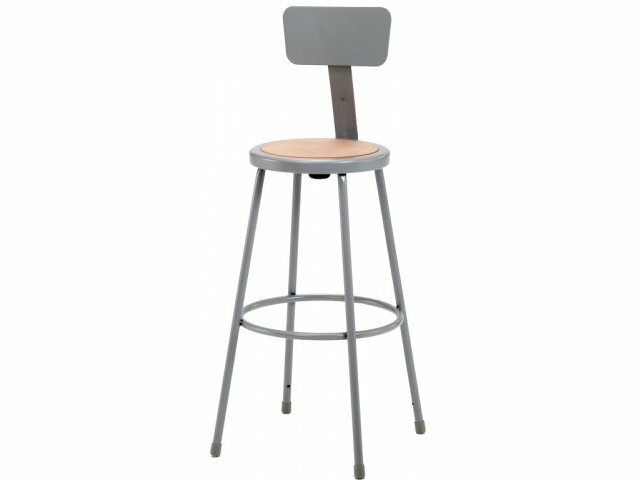 This is a popular lab stool. The gray frame has a hardboard seat with a backrest. The backrest offers comfort and support. 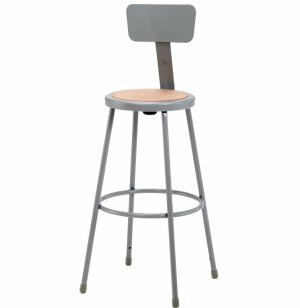 These chairs are designed from 20-gauge steel for long term durability. Foot rings add to the convenience of this model. 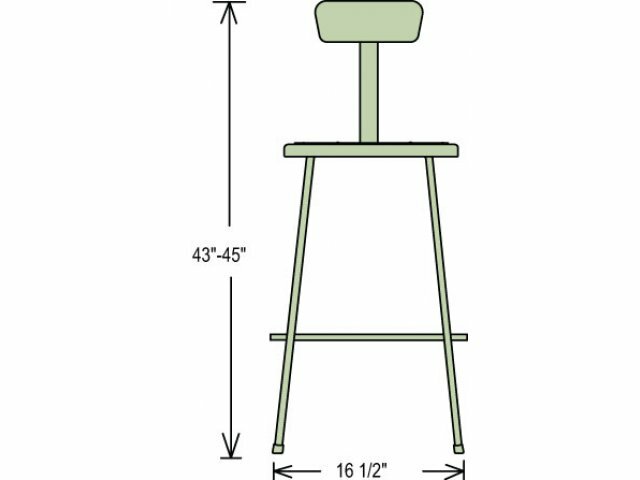 The lab stool seat size is a practical 14 inches in diameter. Practical: Gray frame with hardboard seat.